House hunting can be fun yet daunting all at the same time. However, you should not be swayed immediately by the property’s good looks or convenient location. If you have already checked out those two, it is time to dwell on the more technical stuff. You should now pay attention to the wastewater treatment system built and installed in the home that you want. A conventional septic system is usually installed underneath the ground. This system is only for properties that have good percolation rates. The design and construction of your septic system should be patterned after the number of inhabitants that your household has. The septic tank has a limited capacity. Any addition in the number of people in the home should be discussed with your septic expert so that another septic tank can be installed if needed. You may even need to try to keep excess water away from septic systems. Maintaining your septic system is important. Pump outs require a regular schedule with your septic expert. The septic tank is where the raw wastewater enters. Here, sludge is produced out of the solid waste particles that enter with the wastewater. You have to make sure that the sludge is always pumped out and this procedure also depends on the number of people in your home. You should also eliminate any hardwood roots near or over your septic system. The invasive roots penetrate the system, block the normal flow of wastewater treatment, or damage the components of the septic system. The blockage results to wastewater backups, overflows, and flooding. Essentially, the same thing happens if the septic system’s components are damaged. Another way of maintaining your septic system is to keep the heavy equipment and structures above or near it. The weight results to soil compression, which damages the septic system parts. You should also pay close attention to the amount of water that enters your septic system. As a homeowner, you should do your best to keep excess water away from septic systems. A septic tank’s water load capacity is specifically made for each household. You should make sure that your septic system’s water load is at a minimum. This ensures the efficiency of the septic system in treating your wastewater. Excess water does not do the septic system much good. The sudden entrance of water stirs up the solid waste particles, delaying the anaerobic bacteria’s job in breaking them down. The solid waste particles are pushed into the drain field. They block the drain field area and this saturates the anaerobic bacteria with wastewater, suffocating them. The anaerobic bacteria regulate the biomat that purify the pre-treated effluent. If the drain field is clogged, then the entire septic system is in trouble. * Redirect the rain gutter. You can do this by changing the drain pathway of your rain gutter. 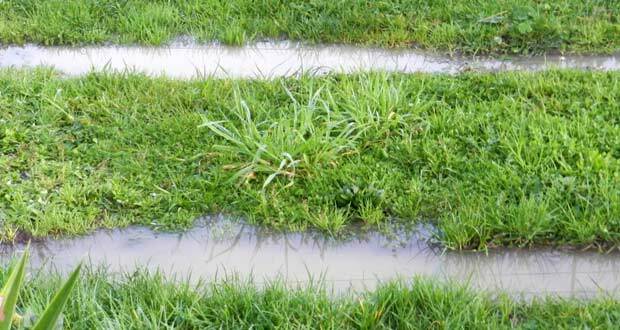 There are rain gutters that pour rainwater and sediments directly over the septic system area. The additional water and the debris that come with it, forcefully enter the septic system. Ask your septic expert or your drain expert about the ideal position of the rain gutter drain. * Save water as much as you can. Saving water is not that difficult to do. You just have to make simple adjustments to your water consumption habits. One step you could take is to shorten the length of your shower time. For example instead of taking a half hour shower try to shorten it to 5 minuets. When you are brushing your teeth turn the water off and don’t allow it to run the entire time. You should also refrain from using the washing machine and the dishwasher at the same time. Some of these simple ideas could save you in big ways, not only in your septic system but also in your water bill. * Have a greywater system installed. This system helps the septic system handle the water load from your home. The greywater (wastewater from sinks, drains, tubs, and showers) is separated from the blackwater (toilet wastewater). You have to make sure that your septic system is efficient and intact helps make sure that your acquired home is safe and healthy for decades to come. Excess water can be regulated by diligence. There should also be cooperation within the household and with your septic expert.